Dynamic Leaders in Static Mixers and Motionless Mixing. Statiflo International is a world leader in the development and application of static mixers and associated technologies with thousands of customers in every process industry in over 80 countries. Lenzing Technik focuses on automatic backwash filter systems for cleaning low and high viscose media as used in many different industries. Designes and manufactures outstanding dosing pumps and metering solutions for the Cleaning and Hygiene, Water Treatment and Industrial Processes markets and now delivers these in over 100 countries globally. STEGO provides a wide range of temperature and humidity control systems making sure that electrical and electronic parts are protected from humidity, heat or cold. 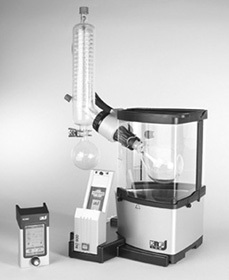 Complementary STEGO offers suitable lamps and accessories. Pleuger offers a wide range of submersible pumps with water-filled motors and systems for water applications along with a comprehensive technical service and support as well as thrusters. Solid-liquid separation systems, single-use solutions & vibratory mixers, We develop, design and fabricate filtration systems for solid/liquid separation in the processing industries as well as vibratory mixers and single-use technologies. Malmberg is a Swedish cleantech company with complete solutions in the fields of water treatment, biogas, geothermal energy and drilling. KNOLL is the leading supplier of conveyor systems, filter systems, and pumps for metal processing. KNOLL transports and separates chips and cooling lubricants. KNOLL offers displacement pumps for the chemistry and food industry. HEINKEL Drying and Separation Group is specialized in designing, manufacturing and providing high-quality equipment and full systems for separating solids from liquids. Tanks for water treatment - We develope and manufacture Water treatment supplies for over 35 years. PRAB is a leading manufacturer of engineered conveyors and equipment for processing turnings, chips and metalworking fluids. We also design and build wastewater recycling systems. Our equipment and systems are tailored to the scrap metal and fluid handling needs of each application.